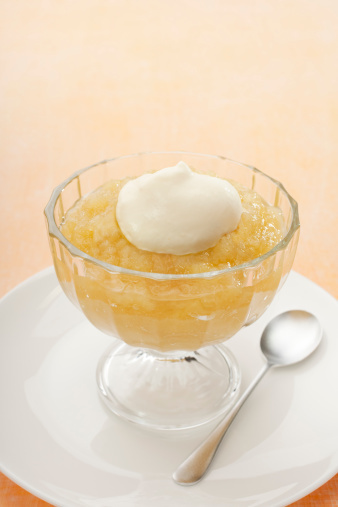 Applesauce granita is a sweet (and easy to make) frozen treat made from, you guessed it.. applesauce! Combine applesauce and lemon juice in a shallow, freezer safe container. . Freeze for about an hour or until the mixture is frozen around the edges. Mix yogurt, honey, and cinnamon together. Transfer into bowls and top with a dollop of the yogurt-cinnamon sauce. Serve immediately.